I was so pleased when I finally got my hands on a pair of On Cloudflow’s. I’ve long been in need of a new pair of road running shoes to help me increase my speed and weekly mileage. Sometimes its easier to use the roads to get the distance in. The problem I find though is if the shoe isn’t super comfortable then my feet end up feeling like they’ve been run over by a truck by the end of a heavy run week. 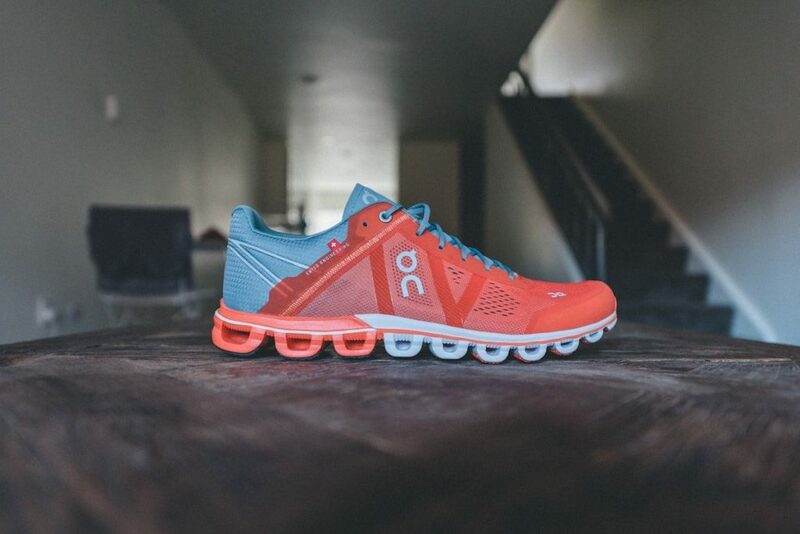 The On Cloudflow is marketed as a lightweight and ultra-responsive performance running shoe. 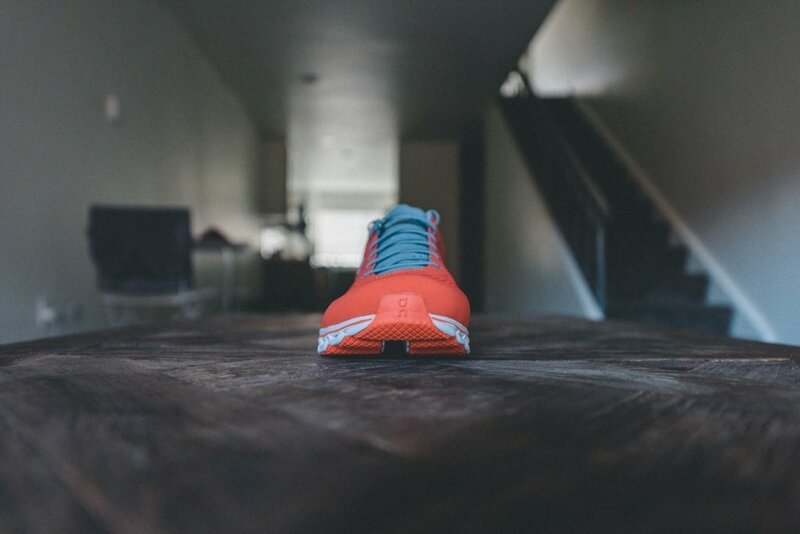 You probably know this about me already, but I LOVE lightweight running shoes. For me, It’s all about feeling as minimal as possible while running. Fast and Light! Whether on the trails or off them. Struggling to know where to start with On shoes? 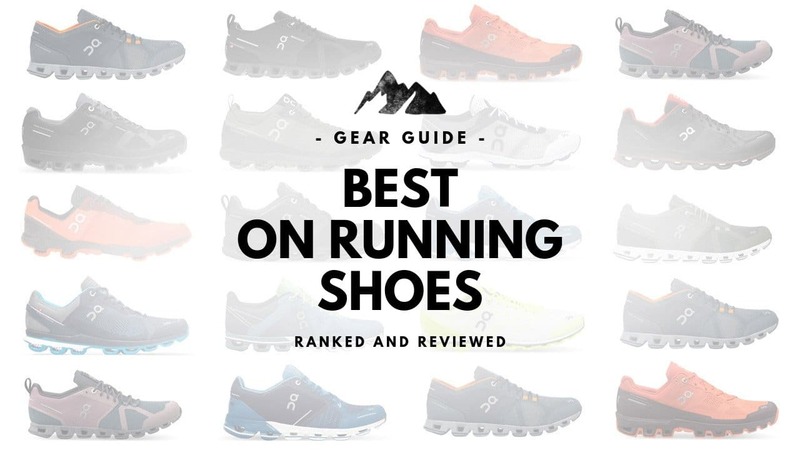 Here is my definitive list of which On shoes I believe are the best for running. 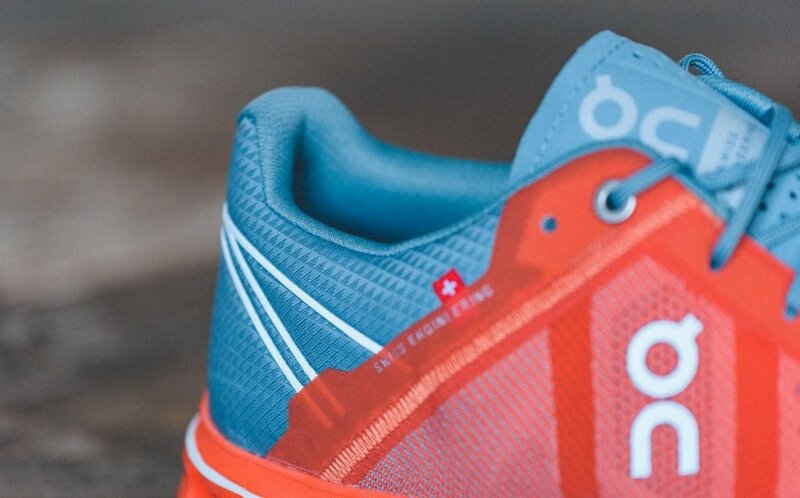 The On Cloudflows are a neutral running shoe that feel really comfortable when you first put them on. The heel support is sturdy in its construction but also very smooth and comfortable due to the material it’s made from. I would expect nothing less from the Swiss! There’s a nice little sock which attaches the tongue to the forefoot area. 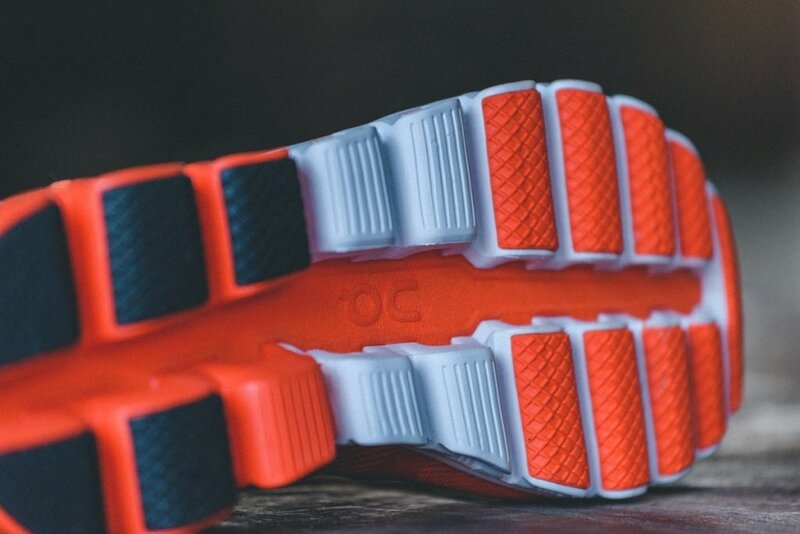 This helps keep the forefoot snug within the shoe and stops the tongue from slipping out of place. As a result of this sock, I didn’t feel any discomfort caused by rubbing materials. All seams inside the shoe appear to be really well hidden, which must help with this too. 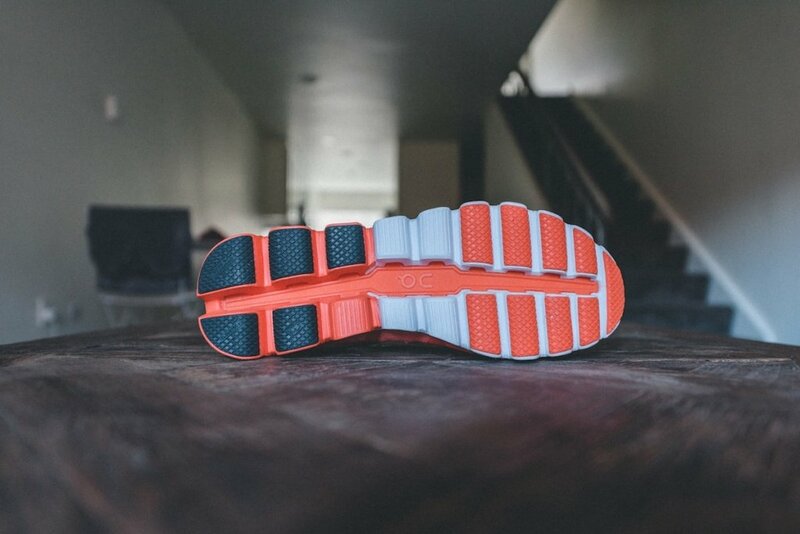 The tongue itself is very slim but also has just the right amount of padding. Kudos On! The laces are also very minimal and tighten easily. They could be a little shorter in length though. I find myself tying them in double knots to reduce lace flap. If you haven’t tried “Running On Clouds” before, you must! Its a unique feeling that somehow makes you want to run faster. I always notice this, especially when putting on a new pair. 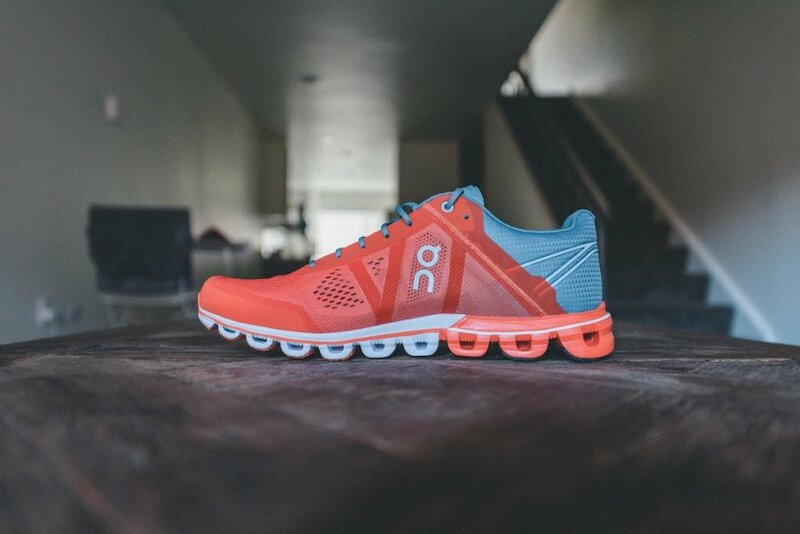 The cloud pods give you that feeling of a cushioned landing, as they compress under your weight and forward force. But they also give you the feeling of a barefoot take off as the pods are compressed and then spring back at the time of your foot leaving the ground. The ‘upper’ is is made of a very flexible weave that allows your feet to breath whilst giving them the support they need. 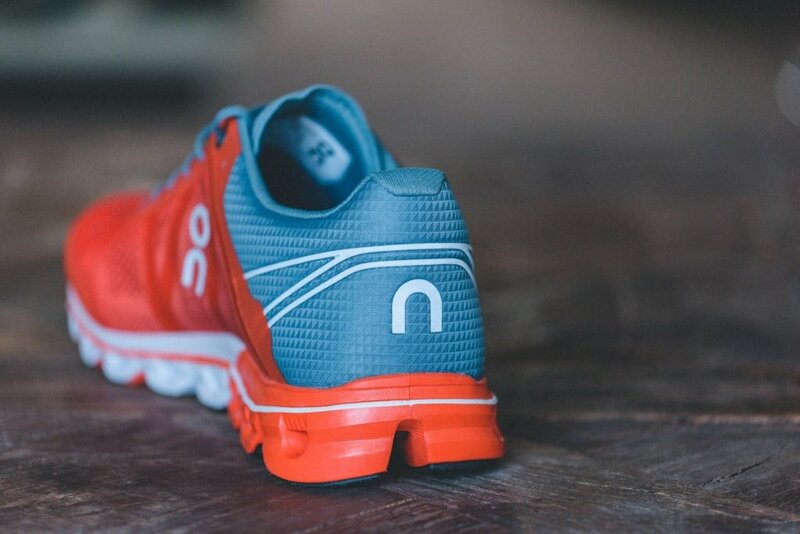 The On Cloudflow has a heel to toe drop of 6mm which worked out well for me when running on the roads. The only subtle negative that I picked up on with this shoe is that the toe box area feels a little snug on the sides of the forefoot. This didn’t cause any blisters or marks on my feet but I cant help feeling that a couple more millimeters either side would make the shoe even more comfortable. I haven’t noticed this narrower forefoot in any other On Running shoes that I’ve used. The On Cloudflow weighs in at 220g. 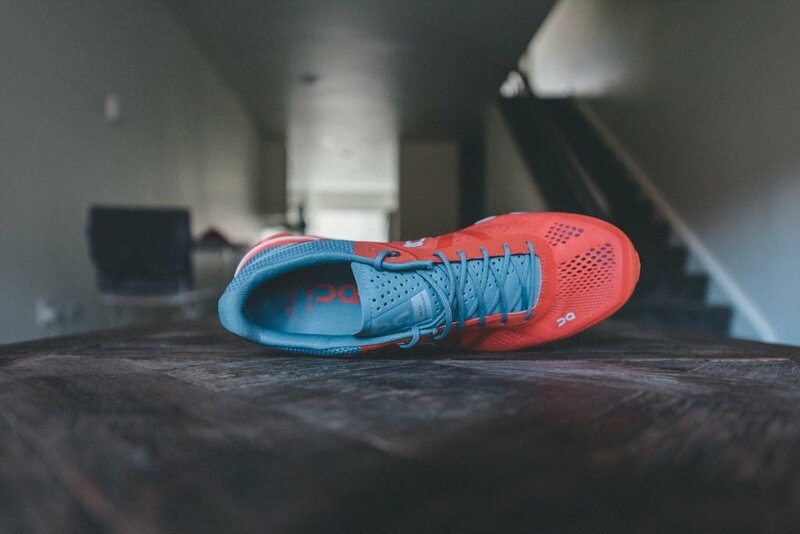 I really felt the benefits of having such a lightweight shoe after my long runs. Last point, which is pretty important in my eyes. The On Cloudflow has been designed beautifully. I love all the detailing that On have put so much effort into adding, and the available color variations for men and women are great. Really nice job, On! The On Cloudflows have made running on the roads fun again. I can go on long or fast runs, and know that my feet will still feel ready to do it all over again the next day. 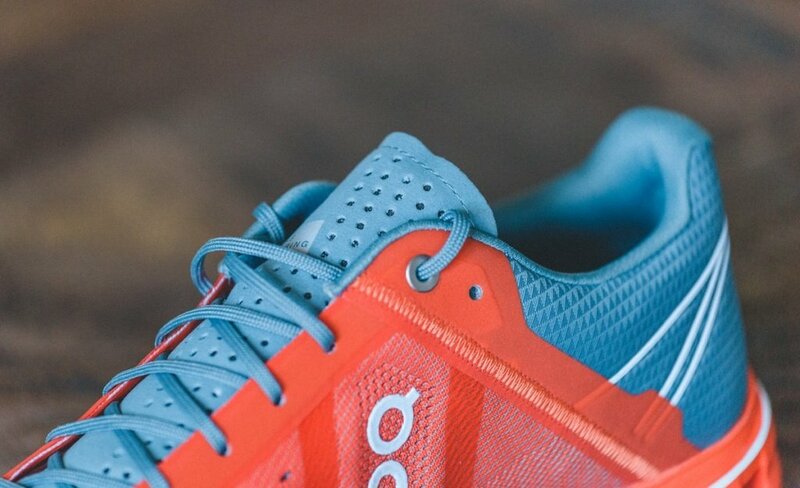 Thats very important for a road running shoe, where comfort is paramount. Once again, I feel like pushing myself harder to get faster. After this years ultra training, I’ve lost a bit of form and explosive strength, so I’m hopeful that these shoes will help me rebuild on this over the coming months. Maybe you’re a trail runner who needs to mix road running into your training or maybe you just love running fast on the roads. The On Cloudflow is great for both. Your feet will thank you for the extra comfort and I bet you’ll notice a flurry of PB’s when you start running in them! 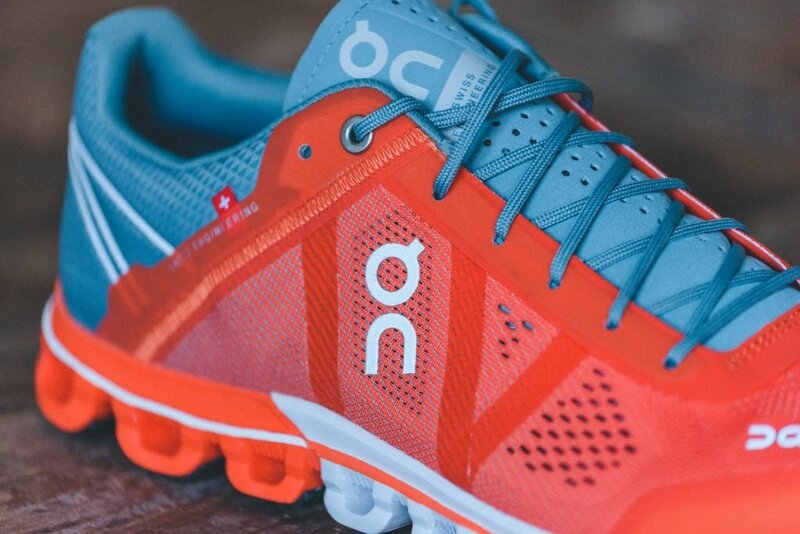 EDIT 3/14/2018: 260km in and the On Cloudflow is still my go-to shoe for speed training on the roads.